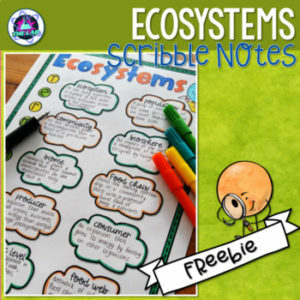 I’ve created this Ecosystem Scribble (Doodle) Note Freebie as a Thank You for your continued support. These pages are great to engage your students. They can color and scribble whilst taking notes.